Living in rural New England gives me an endless supply of unique subjects for my watercolor and egg tempera paintings. I like to create detailed images of things that will draw people into the subject matter. Details that would often go unnoticed, like a simple shadow that takes on a life of its own. What truly excites me about my art, is the ability to create a highly realistic scene of a beautiful landscape, an architectural painting of a proud old building or an interesting still life that might be found in an old antique shop. 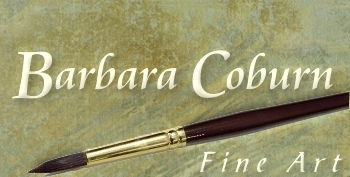 All images and text on this website are copyrighted © in 2012-2019 by Barbara Coburn. All rights reserved. For authorization to reproduce any of the images or text for publication purposes, please contact Barbara.